Lou and Genet Kassa, sent by Xenos in the fall of 2013, serve as missionaries working alongside Bethel Church to plant house churches in Northern Ethiopia. We were greatly encouraged to see the work God is doing among the Amharic and Tigray people groups of Northern Ethiopia. 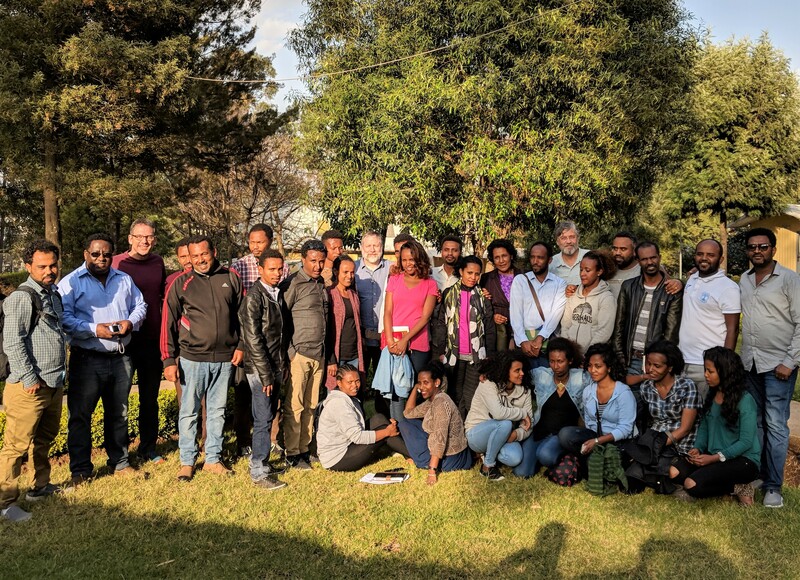 We arrived on Thursday afternoon and went to work on Friday, spending two full days in the book of Philippians with a group of 35 house church leaders from the eight groups in Addis Ababa. We did an inductive of each paragraph in Philippians including how to prepare an expository teaching. These are very sharp dedicated men and women, and we were impressed with their ability to do high quality inductive study. The elders’ from Bethel Church in Bahir Dar joined us in Addis Ababa as well. We spent several hours with them in the evenings discussing the progress of the ministry. They have a highly motivated workforce and they continue to grow and plant churches. 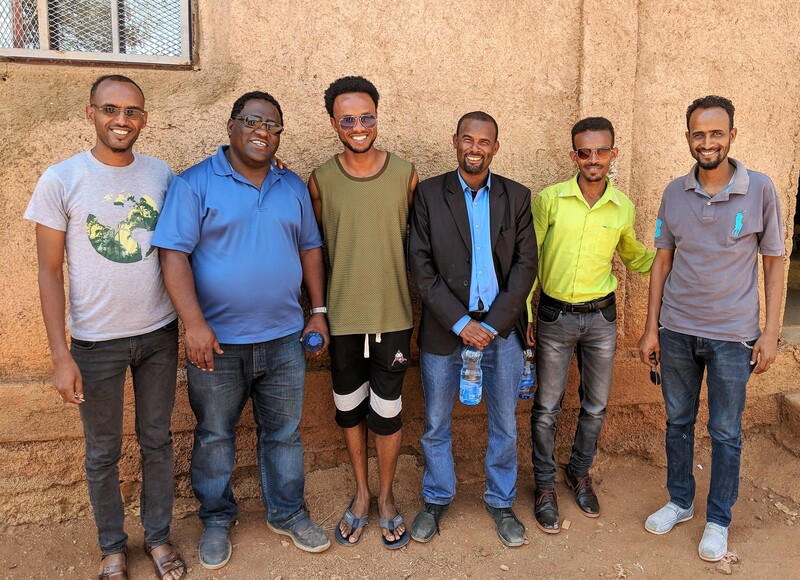 In addition, we were very encouraged to learn the house churches in Addis and Bahir Dar received annual pledges of $18,000 to support additional church planters to reach the Tigray people. This is a substantial commitment both in terms of financial sacrifice and to the vision of planting churches among the unreached. Sunday, we went to the city of Axum, in the far north. We had the privilege of attending a baptism in the underground church among the Tigray people. There are close to nine million in this people group, which remains substantially unreached. These are amazing believers. Each has counted the cost for their faith, risking expulsion from their communities and families, loss of work and even jail. It is truly incredible to see God at work in their lives! Monday, we visited a refugee camp along the Eritrean border. Tens of thousands are living in deep poverty in this arid and inhospitable wasteland. Yet, God is at work in this place. We met three Christian leaders who lead a thriving church of 1,500 people in the camp. Each of these men had been in the refugee camp for 9 years. They not only focused on conversions, but also training these young believers for a future role as church planters. Tuesday, we met with young physicians from a medical school who have been mobilizing Christian colleagues and churches for outreach medical clinics to the Tigray people. They have been very effective, reaching hundreds for Christ in the past two years. Lou is researching the role mobile clinics could play in assisting his team’s church planting initiatives. The big picture from Ethiopia is very positive. There are significant inroads for the gospel and our indigenous partners are unwavering in their commitment to the vision. Please continue to pray for this work. The political environment is quite unstable and at times limits Lou’s ability to communicate and travel with his team. Finally, please consider helping us meet the financial needs of our partnership. Currently we need approximately $38,000 more to fund this year's ministry goals. To give to our Global Partners in Ethiopia, go to xenos.org/give.